The Lubbock Symphony Orchestra will open its season next month with a program unique in my experience. The brilliant young pianist Adam Golka will perform all five Beethoven piano concertos. Numbers 2, 3, and 4 will be played on Friday September 23. Numbers 1 and 5 will follow the next evening. 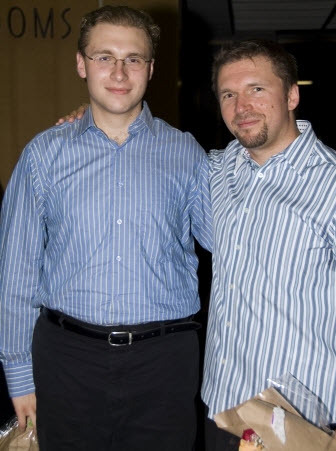 The orchestra will be conducted by Golka’s older brother Tomasz Golka. The 2011 – 2012 season is Maestro Golka’s fifth and final one with the orchestra. Under his leadership the ensemble has reached a performance level extraordinary for an orchestra in a city the size of Lubbock – about a quarter of a million people. If you’re in the vicinity and you can find a ticket I’d definitely attend.